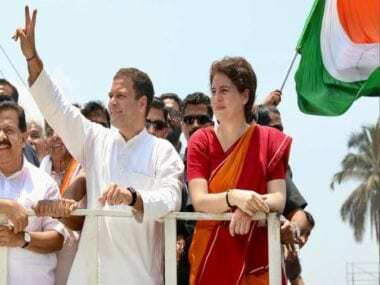 The optics of grand roadshow organised by the Congress in Amethi for party chief Rahul Gandhi filing his nomination papers inadvertently gave credence to BJP’s charge that for the principal Opposition party what matters most is the perpetuation of dynastic 'family first’ concept. 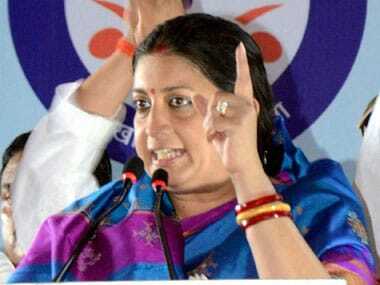 Rahul is seeking his fourth term from Amethi parliamentary constituency. 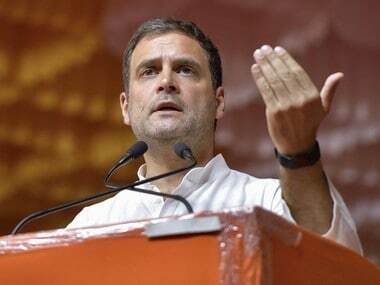 On prior occasions of Rahul filing his nomination papers, there was a roadshow, but none of those compared to what occurred on the streets of this rather backward district of Uttar Pradesh on Wednesday. Without a doubt, the Congress put on an impressive show. The visuals of thousands of workers and sympathisers waving party flags, walking or standing on either side of the road for a few kilometers will gladden the hearts of its supporters across the country. Besides using their tricoloured party flag, strategists of the Grand Old Party made smart use of some other colours, namely blue, green and red. Blue is associated with Mayawati’s BSP, red and green with Samajwadi Party, green with parties such as RLD, RLD and some others which claim to have a greater support base among Muslim community. Though the blue, green, and red flags had nothing to do with BSP, SP, and RLD, it was enough to confuse ordinary voters — who associate parties more by the colour of the flag than the content printed on it — watching from a distance. A smart move. While the BSP and SP have decided not to field a candidate against Rahul and Sonia Gandhi, they are not allies either. The Congress seemed to put up all its might to make the event noteworthy and leave a lasting impression. Amethi votes on 6 May. This was done to counter the perception created by BJP that Rahul “fled” from Amethi to the safer confines of a Muslim-Christian dominated Wayanad in Kerala. But what stood out was most was optics: Rahul, Priyanka Gandhi Vadra, Robert Vadra and their children Raihan and Miraya at the event (their first time at a political event). Raihan was dressed in white kurta-pajama and Nehru jacket and Miraya were dressed in white salwar kurta, like most Indian politician. Robert was also in a white kurta-pajama. The mere presence of the children was enough to give rise to speculation about their political futures, though the presence of politician's children at their rallies is nothing new. Both Rahul and Priyanka in their youth campaigned with their mother Sonia. 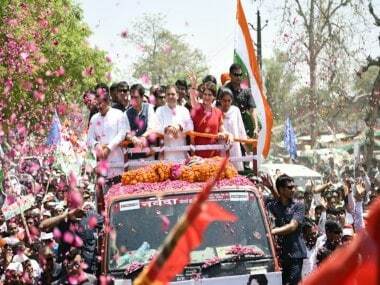 It should be noted that on that flower-decked truck, which had five members of the Gandhi-Nehru-Vadra family atop it, no Congress leader, either of the Uttar Pradesh unit or AICC office bearers were present. Only a few aides, elite Special Protection Group and other security personnel were on that truck. Even four-time MP Jyotiraditya Scindia, a former Union minister and in-charge of party affairs in Western Uttar Pradesh wasn't there. He was in one of the cars behind the lead vehicles. Of the group, Robert was the most enthusiastic person, constantly cheering, punching the air with his fist, gesturing to the crowd to cheer and shout slogans. His presence there — and inside collector’s room — where Rahul filed his nomination papers clearly indicates that the entire Gandhi-Nehru family and Congress’ has thrown their weight behind him, no matter that he is under investigation in multiple cases of financial wrongdoing. Sonia, perhaps due to reasons relating to her health, didn’t join the family at the roadshow but she was waiting at the Collector's Office. Only the family ventured inside, along with a lawyer who helped them complete the procedure. Last week, Robert said that he would campaign for Congress across the country. He also said that he would be present when Rahul and Sonia Gandhi file nomination papers from Amethi and Raebareli. 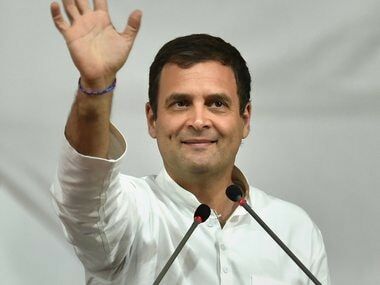 Interestingly, in February 2012, when Rahul was leading the campaign for Uttar Pradesh Assembly campaign and was pitching Congress as a serious contender, Robert made a surprise entry at Amethi to lead a bike rally. His rally was stopped halfway by an Election Commission observer because Robert did not have permission to hold such a rally. A day later, the officer was transferred, though the record stated that the transfer was routine. Robert had to return to Delhi. It was then rumoured that the Gandhi family didn’t like the idea of Robert taking the political plunge and nixed his plans at an early stage. This time around, the script appears to be different.